when PC is booted with a serial GPS device connected. U.S. Daylight Time now starts 3 weeks earlier than the traditional date (1st week of March instead of beginning in April), effective the year 2007. As a result, the automatic time change feature in Windows XP and earlier versions won't happen until 3 weeks after the fact. The patches below will fix Windows to change on the proper dates. These patches only affect the Windows operating system itself. If you use Outlook, another patch (available from Microsoft) is required. Outlook keeps time internally in UTC and converts to local time only for display, using a routine similar to, but separate from, the one in Windows itself. Note that an intractable problem remains because MS grouped the US and Mexico together in the time zone select dialog in Windows (for example, "US Pacific and Tijuana, Mexico"). Since Mexico, unlike Canada, didn't slavishly follow the U.S. in this daylight time change idiocy, either you patch Windows and the U.S. west shows correctly and Mexico doesn't. Or you don't patch to keep Mexico correct and the U.S. incorrect by an hour. This nuisance will only persist for three weeks until the classic date for daylight change. At this point both the US and Mexico will be on daylight time, allowing the same offset to be correct for both. This update (courtesy of http://www.intelliadmin.com, a vendor of corporate network management software, fixes the daylight time change issue. Note that after installing this patch, you will have to reset the time, using an Internet utility or other means. This forces Windows to re-compute the offset between UTC time (which the operating system uses internally) and the local time zone (which used for on-screen display). Or download the "official" XP patch from the Microsoft website here. Another freebie from http://www.intelliadmin.com, similar to the one above, but for Win 98 and ME. Handy coordinates conversion tool from a defunct software company. Converts between DD.dddddd , DD MM SS and DD MM.mm . FT-891-Mic-Pinout-TT3+-Connect.pdf Nearly impossible to find mic jack pinout info for Yaesu FT-891 HF+6 transceiver, also connection info for Byonics TinyTrack 3 APRS tracker. I-Dont-Want-Windows-10.ZIP Information on the high-pressure "Get Windows 10" campaign being forced upon Windows 7 & 8 users, and tools to remove the invasive and space-wasting crapware being stealth-loaded on Win 7 & 8 systems. KenBeeps.zip WAV file recordings of D700 two-tone beeps to make UIview sound like a D700 on incoming or digipeated stations. Kenwood-8-Pin-Mic-Jack.pdf Use as a worksheet for wiring Kenwood-compatible 8-pin panel jacks. Extremely simple interface to use Icom AH3 or AH4 autotuners with the 6-pin ext tuner port on Kenwood radios. Kenwood-ACC1-Cat-Cable.pdf Ultra-simple Kenwood CAT cable assembly. Kenwood-ACC1-CAT-Cable-USB.pdf Newer USB version for "legacy-free" PCs without serial ports. KenMic Plug 8.gif Use as a worksheet for wiring round Kenwood-mic-jack-compatible plugs. Kenwood-8-Pin-Mic-Plug.pdf Same as above in PDF format. This tool, saved from the now-defunct website "magloop.com, lets you experiment with various combinations of shape, size and materials and their effect on radiation efficiency, when designing compact magnetic loop antennas. Compiled Quick Basic program to reset TNCs from KISS to normal command line mode. Because this is a compiled DOS program, it is a 16-bit application. It will run in versions of Windows up to WinXP SP3 but not later. (Vista and higher will not run programs that contain 16-bit code) Because this app is a legacy DOS program, it is limited to the first 4 com ports (COM1 to COM4). TNC2-119b-8N1Mod.zip Last version ever of TAPR TNC2 firmware. Works in MFJ-127x TNCs. MI-Digital-Traffic-Net-Info.pdf Try out the Olivia and MT-63 digimodes here! PDF copy of PowerPoint presentation delivered to various radio clubs. NetBUI_Add.exe Restores support for NetBEUI to Windows XP. KC9XG's NWS-Get plug-in for UI-View that downloads NWS radar images into UIview, repackaged as a standard "Setup.EXE" fully-automated Windows installer. Hard-to-find UIview plugin. Extracts single call sign from UIview stations list, converts to standard NMEA format and outputs it to a virtual COM port for use by any standard GPS- driven mapping program. PS2.pdf PS/2 Keyboard jack pinout - use to steal 5VDC from a keyboard jack on laptop. This application was developed by G4IDE as an experimental add-on for UIview in early 2001. It combines a PSK31 "waterfall" soundcard application with a TCP/IP interface, and was intended to allow APRS operation over HF PSK31. This was only a "quick-hack" experiment that was never intended for prime time. A much more advanced approach to APRS-over-PSK (that is under current development) is here . Latest version of this UIview plug-in, that is required to use Undertow Software's Precision Mapping Ver 9.0 with UIview 2.03. Ubuntu-Xastir-VirtPC.exe Self-extracting RAR archive of a virtual machine. A complete Ubuntu 10.04 setup with Xastir 2.04 installed and ready-to-run in Microsoft Virtual PC 2007. Warning: Large file download (1.3 GB). Lets you try Xastir in it's native environment (Linux) on any Windows XP, Vista or 7 setup without changes to Windows or hard disk partitioning. Solves several problems when connecting a radio's speaker or headphone output to a computer sound system MIC input for sound card digital modes. A capture of my web pages dealing with UIview and Precision Mapping 8.x, into a PDF file for off-line reference. UIview TNC initialization files for Kenwood TM-D700, TM-D710, TH-D72 & TS-2000. A repack of G4IDE's UIview plugin, released in 2002, that allows UIview to pass position reports to Microsoft MapPoint. The original install package wouldn't work on 64-bit versions of Windows. This one will. Also includes the WA8LMF "Rev H" updated APRS symbol set. Otherwise the program itself is unchanged. 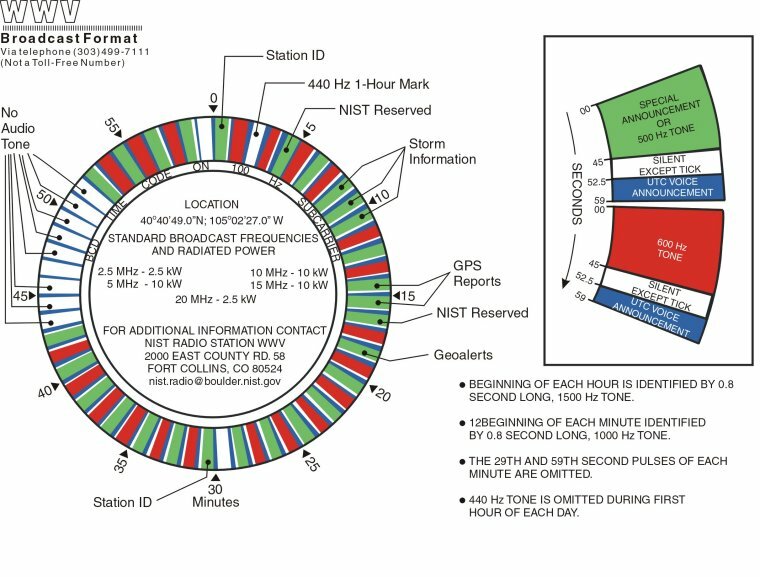 A UIview add-on from the now-defunct "Colorado Ham" website, that estimates the expected useful APRS communications range, based on the amount of traffic heard off-the-air. It draws a circle known as an "Aloha" range circle on your UIview map, centered on your own station. Note that this display is meaningless on an Internet-only-connected station. 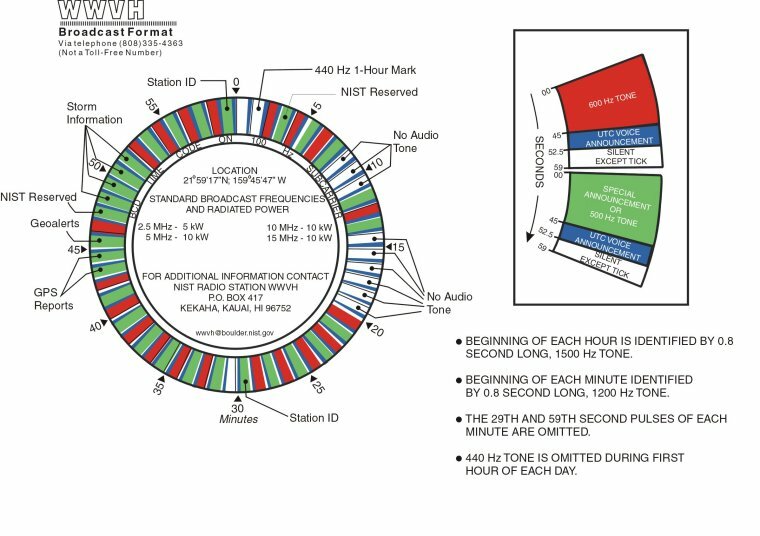 (The calculation is based on the % of air time occupied by transmissions on an RF channel, before collisions between stations transmitting at the same time starts limiting the throughput. A soundcard software KISS TNC for 300 and 1200 baud packet that is a direct drop-in replacement for the AGW Packet Engine in programs such as UIview, APRSpoint, etc. Features tunable audio tones (useful on 300 baud HF) and can transmit & receive on two frequencies/radios at the same time with a stereo sound card input and two sound card interfaces. Has a BUILT-IN received packet monitor that makes the application self-contained for monitoring and trouble-shooting packet/APRS activity. Dual TCP/IP servers emulate both the classic AGWpe interface and a standard KISS-over-IP interface on separate configurable IP port numbers. As of ver .84b,, the Soundmodem has the ability to send/receive 600 and 2400 baud AX.25 AFSK as well as the usual 300/1200 baud modes. Additionally, it can send AX.25 packets over a variety of BPSK and QPSK modes. As of ver .94b, the program can function as a basic digipeater with no additional software required. Note that this is a repack of UZ7HO's original basic zipfile requiring hand installation, into a full-blown Windows "wizard"-type installer that automatically creates a folder, desktop shortcut, Start Menu entry, and includes the Users Guide. Supersedes "G3RUH Soundmodem" Ver .17 and adds two modes: Manchester 7200 and HAPN 4800. A G3RUH 9600 & 19200 baud version of the above soundmodem. Note that these mode directly modulate the FM carrier; no audio tones are used. As a result, transmit & receive hookups to the radio must be DC-coupled direct connections to the transmit modulator and receiver FM discriminator. You CANNOT connect these modes through normal "soundcard interfaces" or radio mic/speaker jacks. A split-screen send/receive terminal program for use with the Soundmodems above. Useful for classic non-APRS connected packet operation. Includes the YAPP file transfer protocol ande a basic packet mailbox system. Many of the files linked above are in Portable Document File (.PDF) format. The free Adobe Acrobat Reader software, available from Adobe can be used to view or print this type of file. As a normal stand-alone program that starts when you double-click on files with the .PDF extension. As an add-on ("helper" or "plug-in") to your web browser(s) (Internet Explorer, Chrome, , FireFox, or Opera) that enables .PDF files to be opened on-line directly in the browser. You can only view the file while you are on-line. Left-Clicking the link to a PDF will open the PDF file in your web browser. If Acrobat or another PDF reader is not installed, you will be prompted for a normal file download instead. Right-Clicking the link to a file and choosing "Save Target As..." will initiate a file download to copy the file to your hard drive for off-line viewing or printing. This file format is independent of computer, operating system, or application programs. PDFs can accurately reproduce highly-formatted pages produced by advanced word processors or desktop publishing programs. Unusual fonts (including non-Latin character sets) used in the original composition are embedded in the file, and will reproduce correctly, even if the font is not present on your system. PDFs can also reproduce smoothly-scalable vector images (not jagged pixelated bitmaps) of technical diagrams produced by CAD, draw and mapping programs without needing the original program. At print time, the image can be automatically re-sized to the actual paper size regardless of the original layout size. PDFs are created from any program by issuing a "Print" command and selecting a virtual printer driver rather than your actual printer. A virtual printer driver called the "Distiller" is part of the full (purchased) version of Acrobat. It is actually a specialized PostScript printer driver that captures print output into a PDF file instead of sending it to a real printer. WARNING: Beware of the crapware page that tries to install unwanted unrelated software when running this install.